A contractor has been successful in a judgment against Nakheel PJSC. Technical Architects General Contracting Company LLC (TAGC) held onto a judgment against Nakheel for over AED58 million in the Dubai World Tribunal (DWT). Nakheel has been ordered to pay contracting company TAGC AED58 million at a hearing held on 7 February 2012 before the eminent panel of DWT members, Sir Anthony Evans, Sir John Chadwick and His Honour Judge Michael Hwang for work completed in an unfinished contract to construct 31 multi-storey residential buildings at Mogul 3 in Discovery Gardens. TAGC was contracted by Nakheel to construct the buildings in December 2007 for a value of over AED950 million. By November 2008, Nakheel instructed TAGC to suspend work due to Nakheel’s growing parlous financial state. The contract was subsequently terminated on 19 January 2009. Under the terms of the contract, an assessment had to be made for the value of the work done by TAGC up to the date of termination and the various additional amounts that TAGC was entitled to claim for in light of the termination. TAGC submitted a claim for payment to Nakheel for the amount of AED311 million in March 2009. Following negotiations between TAGC and Nakheel, a full and final settlement was agreed to in June 2009 whereby payment was to be made by Nakheel to TAGC of AED58 million. However, Nakheel was not able to pay the amount in one go and it was agreed the payment would be made over an 11 month period ending April 2010 but Nakheel failed to pay any of the AED58 million. In January 2011, TAGC served proceedings on Nakheel in the DWT claiming just over AED73 million which comprised the agreed settlement amount of AED58 million plus interest charges and loss of profit. On 8June 2011, TAGC entered a judgment against Nakheel for the total amount based on a default of Nakheel in acknowledging service of the proceedings, because it appears Nakheel overlooked the fact that the DWT papers had been delivered to its head office had not been attended to. - that the matter did not fall into the jurisdiction of the DWT. 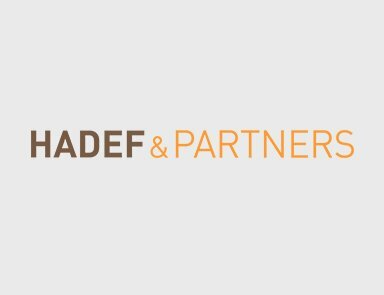 Hadef & Partners appeared for TAGC at a hearing on the 7February 2012 where we successfully retained the judgment against Nakheel. The DWT dismissed Nakheel’s three grounds of challenge and allowed the judgment to stand for a total sum converted into US$20,062,644 and awarded TAGC its costs of the action and further interest. The decisions of the DWT are not subject to appeal and are therefore final and irrevocable. TAGC have required Nakheel to pay the outstanding judgment amount within the next 14 days and will be asking for costs and further interest.